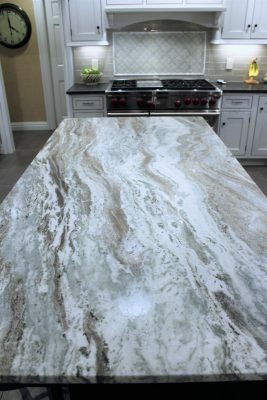 Royal Kitchens & Baths offers a variety of countertop surfaces by working with its partners. With over 400 samples in our showroom to look at. Based upon the premium quality of work that Royal Kitchens & Baths performs, we have been hand selected by Caesarstone to carry their exclusive“Concetto” series precious stone decks (www.concettous.com).